To many tournament players’ chagrin, pot odds in poker do not refer to how likely you are to score some weed on dinner break. To be a consistently winning poker player it is crucial to have a complete understanding of how to calculate and take advantage of pot odds and implied odds. 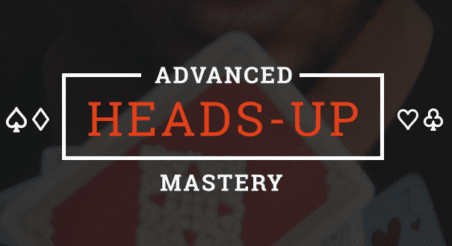 If you’re new to poker you may not have even heard of these terms. Even if you have, you might not be aware of how they should impact almost every decision you make at the table. If you’ve ever made a sports bet you’ve seen odds like “+200” written next to an underdog team’s name, which is just a fancy way of saying 2-to-1. For every $1 you risk on that team, you will win $2 if they come out on top. You are heads up on the river with $45 in the pot and your opponent bets $5. Written as a ratio this would be 45-to-5, simplified as 9-to-1 or 10%. In this scenario you only need to have the winning hand 10% (1 out of 10) of the time to make this a profitable call. Pot odds tell us we should be calling this $5 bet with almost anything resembling showdown value because of the incredible odds we are getting to win the pot. Same river spot, this time your opponent makes a full pot sized $45 bet on the river making the pot a total of $90. This time our odds are 2-to-1, meaning we would need to have the winning hand 33% of the time to make this a profitable call. Against this larger bet, we have to call less often. Implied odds are a bit more abstract. Simply put, implied odds is an educated estimate as to how much money you can extract from your opponents if you make your hand. In addition to knowing the math, knowing your adversary is key to using implied odds optimally. A loose, aggressive and viable opponent is more likely to blast off chips later in the hand than a tight regular who plays passively. Stack size also plays a large role when calculating implied odds. When chasing a set with a small pocket pair preflop we would much rather our opponent have a $200 stack than a $50 stack, simply because there’s more money to win against the $200 stack. Let’s take a look at a real life example to understand how these concepts are applied mid hand. For this example, we’re playing $1/2 NL Texas Hold’em at a local casino. We peek down at as folds to us on the dealer button. We open raise to $7 and the villain in the big blind calls. Villain checks and we decide to check as well. The pot is $15 and the villain leads out for a bet of $5. From what we learned above we know our pot odds in this situation are 20-to-5, aka 4-to-1. This means we need to win the pot at least 20% of the time to profitably call. There are 9 flush completing hearts in the deck of 46 remaining cards, which comes out just under 20%. Since hitting our Ace(or even our Ten) might give us the best hand as well, our equity in this situation is clearly above the 20% needed to call. We can be confident that a call here with hopes of improving on the river is a good play. But what if the villain bet $10? Instead of having to win the pot 20% of the time, the pot is now laying us 2.5-to-1 odds, aka 29%. Given that our chances of improving are around 25% we do not have direct odds to call. So do we fold? This is where implied odds come into play. The hand won’t be over when the river comes, so if we do improve there’s a good chance we’ll be able to extract some value from the villain. By extracting that value when we do hit, we make up for the times we miss, making the turn call go from being a bad call to a profitable call. The understanding of implied odds is crucial for players looking to maximize their profits at the table. With experience it will become second nature in determining which players and which situations are going to give you your payday. Odds are not just applicable when facing a bet or raise. Pot odds can also be used when betting yourself. If you bet $20 into a $20 pot as a bluff on the river, pot odds dictate your bluff must be successful 50% of the time to profit as you are risking $20 to win $20 (1-to-1). It’s important for any poker players to fully grasp how pot odds and implied odds effect decisions in almost every hand. Once one fully grasps these concepts, their peak poker success is often just around the corner.